Specializing in fare that you would typically find at street food stalls across Southeast Asia, Rook’s Chef Carlos Salazar states in their About section that “Street food, when executed well, is about simple but bold and exciting flavors.” I mean, seriously, why wouldn’t anyone want to check that out? 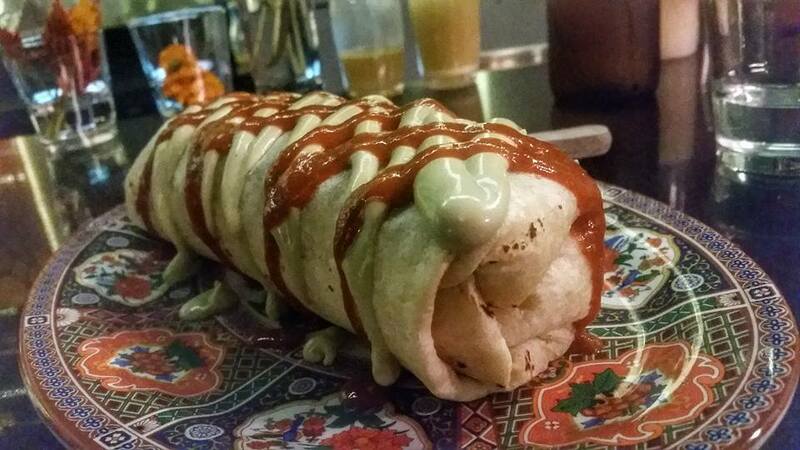 The gigantic Korean Burrito at Rook. Get there soon if you want this bad boy – their food menu changes about every month. 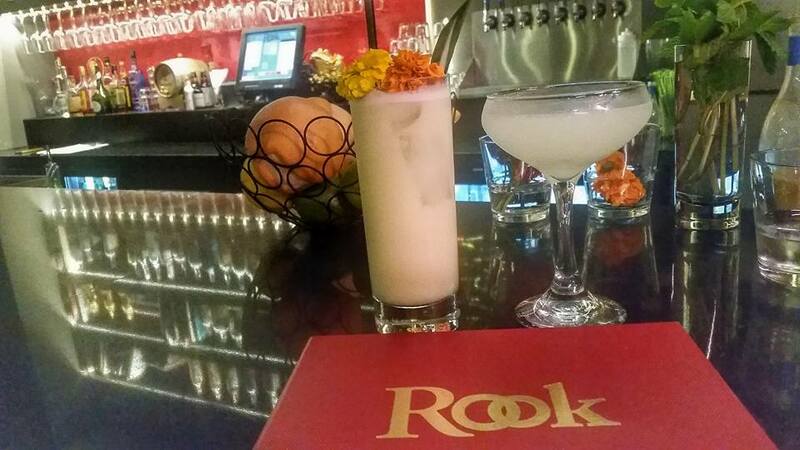 You would think that having a locally owned restaurant that offers unique expertly-crafted food items such as Rook would make it a go to destination for Indy locals. However, with national chains offering familiarity and convenience to individuals located outside of the downtown area, Rook might often be overlooked when it comes to dining considerations for jaunts downtown. That should never be the case. Sure, that burger from Ruby Tuesday will always taste the same but doesn’t that get boring after awhile? Come on, doesn’t Asian street food sound exciting? I’ve eaten food from plenty of street vendors in Vietnam and it’s always an adventure. Old Raj gin gimlet and the “Who Do You Love” featuring Letherbee gin. If you’re going to be paying a visit to Indianapolis, try something a little out of the ordinary and keep Rook in mind when considering your dining options. It’s local, the food really is that good and the cocktails will send your taste buds into a tizzy. Sit at the bar if you can – Eli Sanchez is one of the best bartenders I’ve had the pleasure of geeking out about cocktails with and he’s nothing like the arrogant-wannabe-chemist mixologists that give the industry a bad rap. He’s a cool guy and he’ll make sure you’re taken care of. Oh yeah – ask him to wear the belt he got for winning a cocktail competition in Chicago – it should be hanging behind the bar. The kitchen staff just LOVES it when he does that. Getting our Mai Tai on. DTO – Daiquiri Time Out. If I had a few more of these, I would have started conversing with that cat. My view at dinner should be your view at dinner.